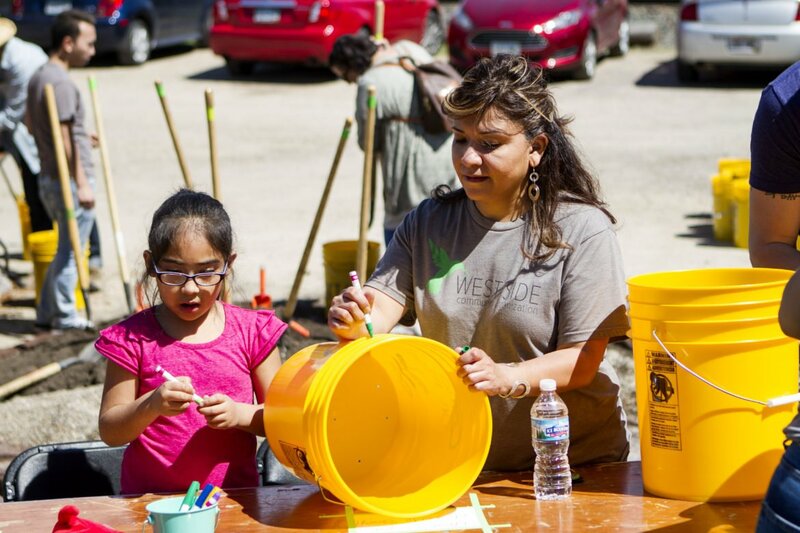 Executive Director of West Side Community Organization Monica Bravo, and her granddaughter Mimi Tula, celebrated Earth Day at Future Sol by writing inspirational messages and creating drawings on the buckets that they used to plant sunflowers. Photo by Brooke Ross. As eagles soared above the crowd on Earth Day, April 22, the city of St. Paul unveiled new design concepts of the West Side Flats Greenway. 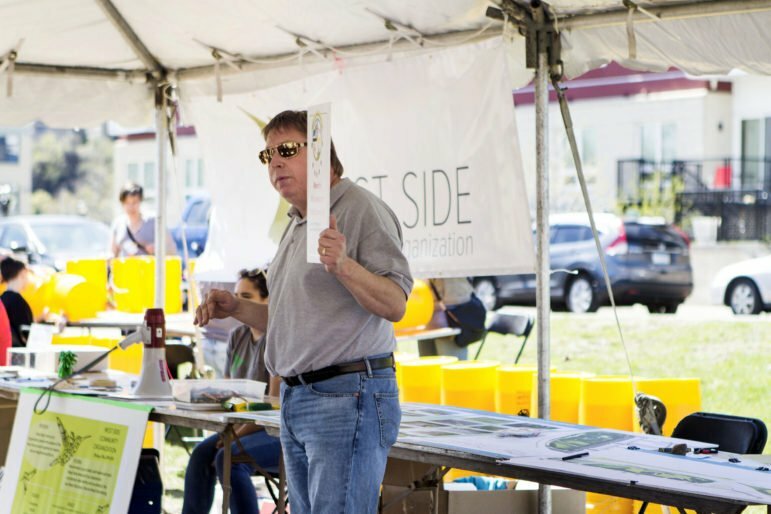 West Side Community Organization partnered with the city to host Future Sol, an event which gave the community an opportunity to voice their opinions on the greenway’s design before the plans are complete. The greenway project marks an opportunity for the West Side to reclaim space along the banks of the Mississippi River that have long been inaccessible to the communities who once lived here – despite a century of genocide and colonialism, flooding, industry and pollution. 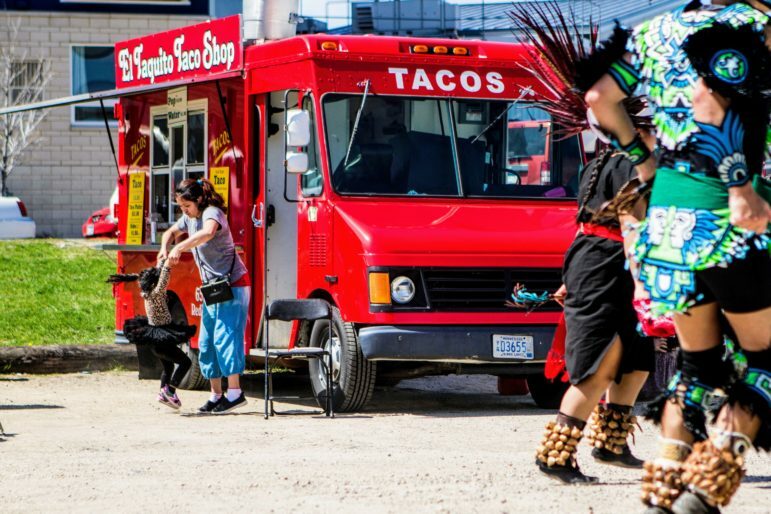 After a treaty displaced the Mdewakanton-Sioux from the river flats in 1851, a bustling immigrant community made up of Eastern European Jews, Syrian Christians and Mexican immigrants grew on the West Side for more than 100 years. Years of flooding caused the city to buy up the residents’ homes, making room for an industrial park in the early 1960s. The industry ended up contaminating the land, turning the flats into the brownfields they are today. Each aspect of Future Sol honored a different part of that complex history. 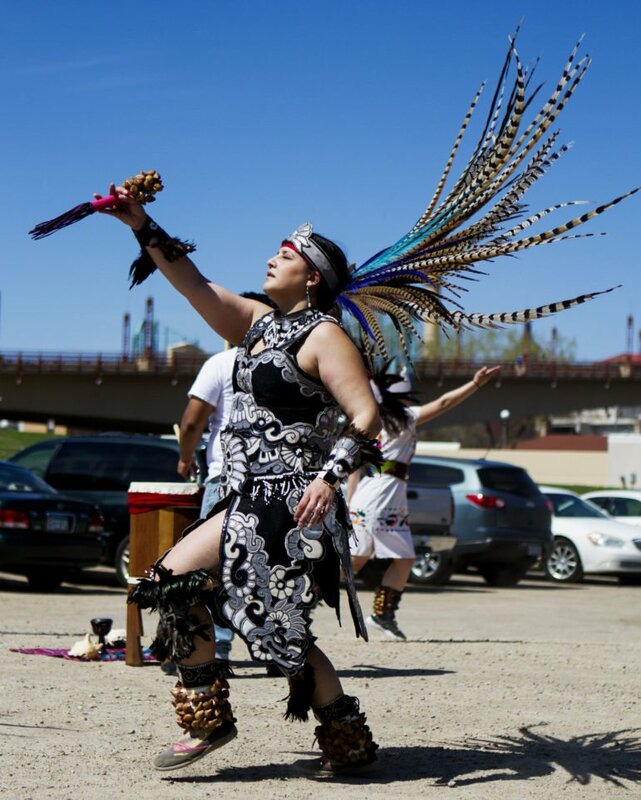 Members of the Mendota Mdewakanton told stories and Kalpulli Huitzillin Danzantes celebrated their culture through ceremony and dance. 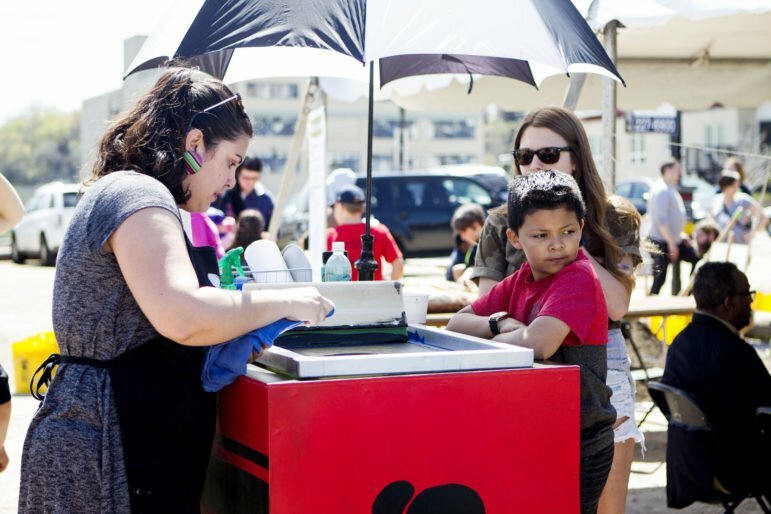 The West Side’s vibrant immigrant community turned out in force, eating from the local food truck and screenprinting art with the University of Minnesota’s Chicano and Latino studies department. 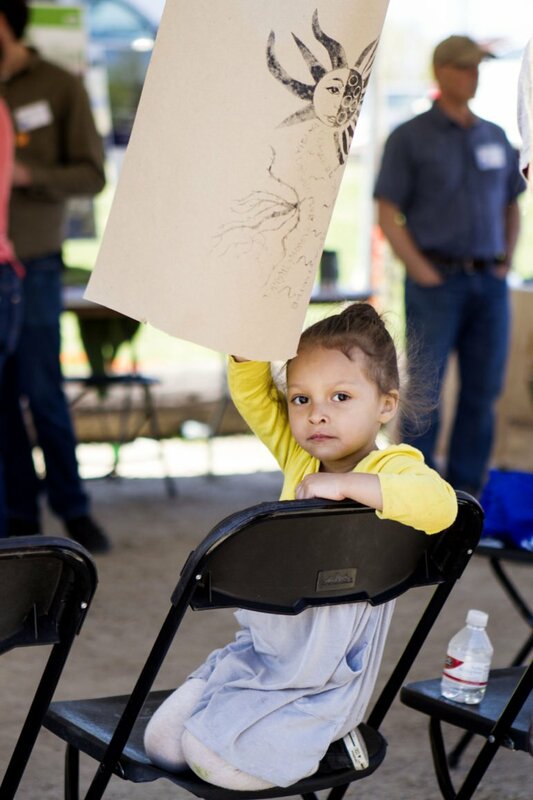 And together, all the attendees planted sunflowers and gave feedback on the city’s designs, taking back the polluted land in favor of new growth. 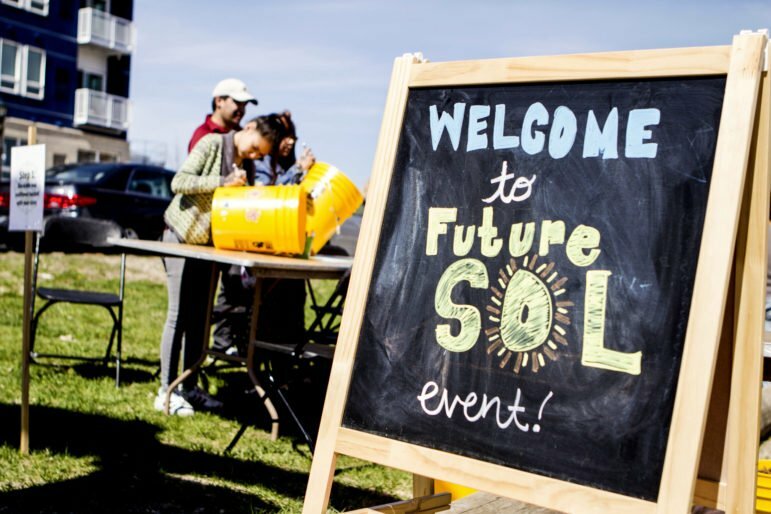 Future Sol took place on Earth Day, Saturday, April 22. Historian Perry Altendorfer shares Mendota Mdewakanton history with the community at Future Sol. Monica Skaar from Kalpulli Huitzillin Danzantes. Kathleen Escoto and her daughter (left) dance as Kalpulli Huitzillin Danzantes perform for Future Sol. he West Side Community Organization is making sure that their community has a voice. 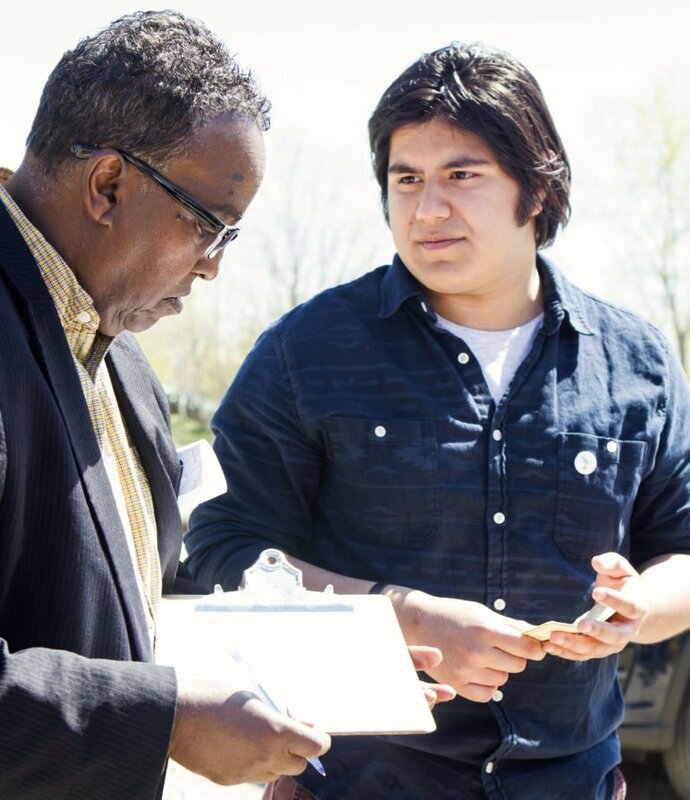 Miguel Brito from WSCO signs up Ahmed Nur for community updates. Jessica Lopez Lyman from Chicano and Latino studies at the University of Minnesota creates screen prints for people in the community. Young community member Metzli Galaviz shows her screen print that she made with the Chicano and Latino studies group from the University of Minnesota. 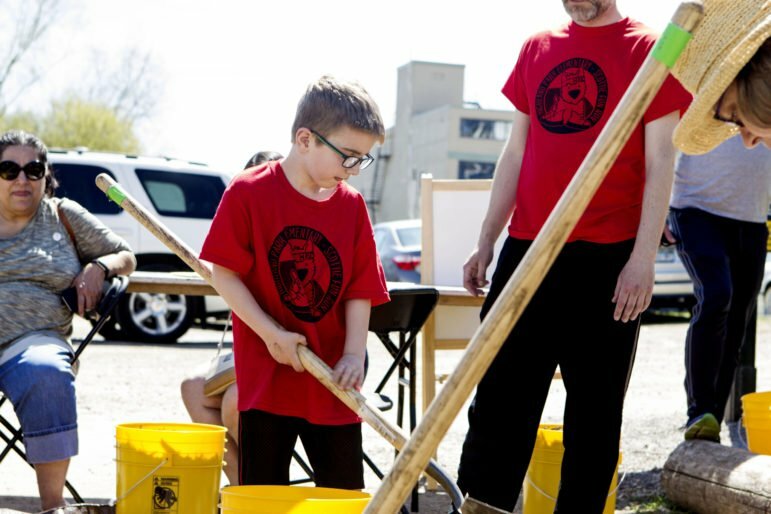 West Side Community Organization invited the community to plant sunflowers for the West Side Flats. Wesley and Peder Gear planted their sunflowers at Future Sol. 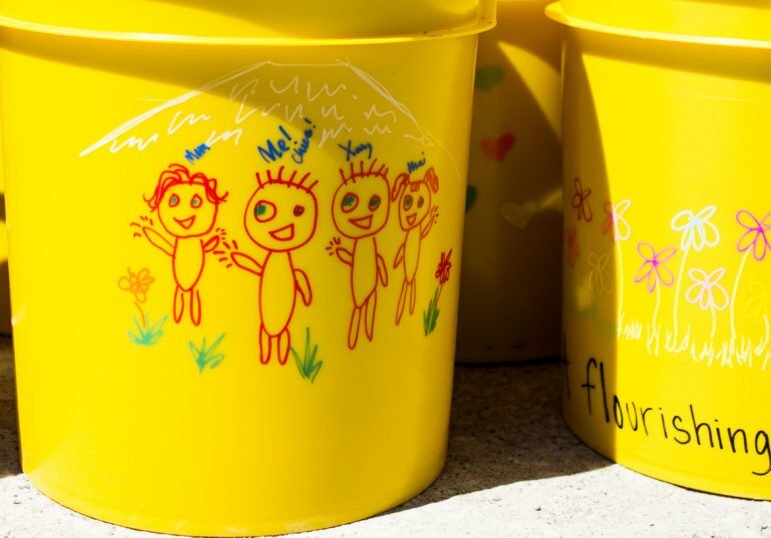 Inspiring words and doodles were drawn on bright yellow buckets filled with sunflower seeds and placed on the land at West Side Flats.